One fine day, a long time ago in green woodlands of Sweden, a special storytelling day was held. Many people read wonderful stories of adventure, mystery and wonder. More and more people heard about the fun that was being had and news of Storytelling Day spread around the world. Now, World Storytelling Day is celebrated across the globe. The aim of World Storytelling Day is to celebrate the art of storytelling, with as many people as possible and in as many different places around the world. Imagine a day on which the whole world is telling and listening to stories in their own languages! World Storytelling Day is a truly international festival that creates new friendships and promotes a positive appreciation of cultures around the world! Use this teaching resource in the classroom during English Group Activities or during creative writing lessons. All you need to do is print, cut and construct the setting dice, character dice and object dice. Next encourage your students to have fun by rolling each dice to generate ideas for an action-packed narrative. 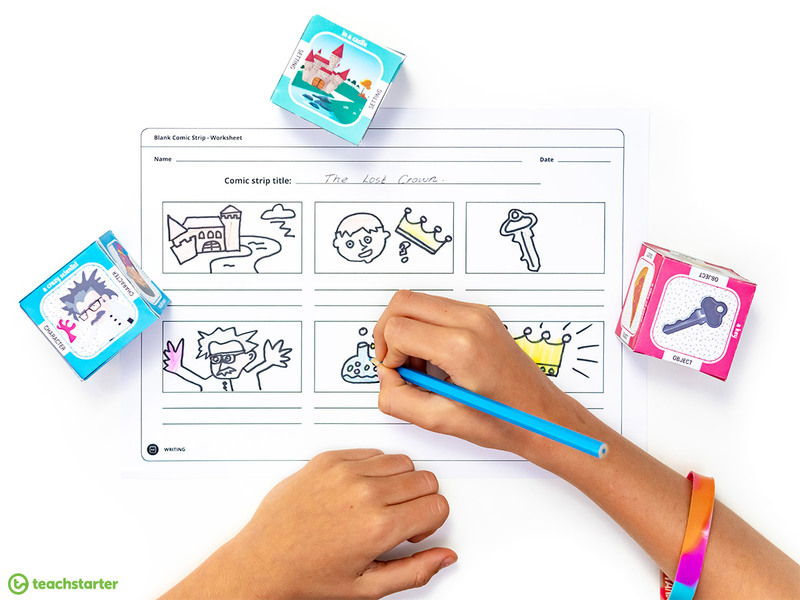 Your students will love to use this Story Building Dice Activity in conjunction with our Blank Comic Strip Template for a fun and pressure free storytelling activity. Our talented designer and illustrator Boaz has been extremely busy creating a new collection of fun-loving finger puppets for storytelling. 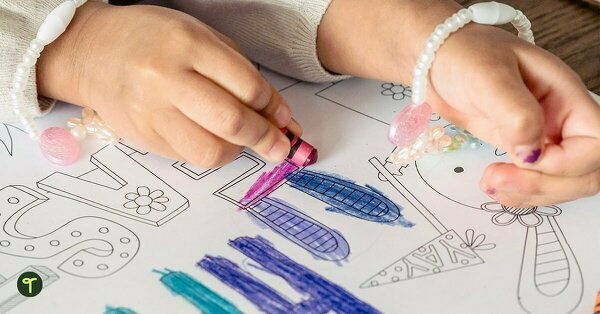 Don’t be fooled, finger puppets are not just for the early years. Our brand new Storytelling Finger Puppets have been designed for all year levels. 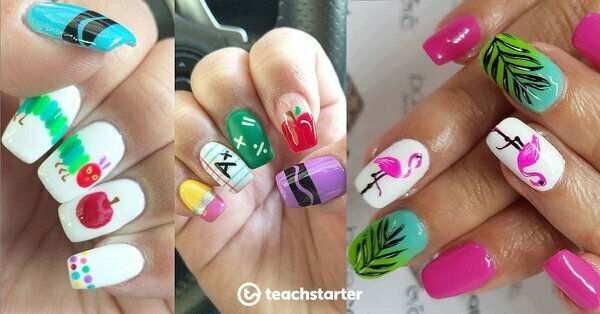 The tales that these characters tell can be as sophisticated or simple as your students like. These storytelling finger puppets are going to be so popular and well loved! 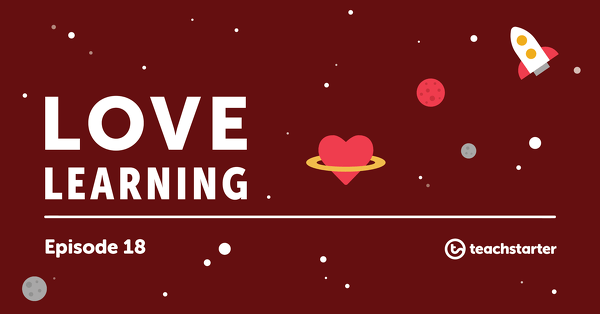 Be one of the first to download this new and sensational teaching resource. Introduce the finger puppets. Be sure to leave the name and characteristics of each finger puppet open to students interpretation. Remind your students of a basic narrative structure and how it includes orientation, rising action, climax, falling action and a resolution. Encourage your students to work with a partner and to choose 3 or more finger puppets and plan a simple narrative. 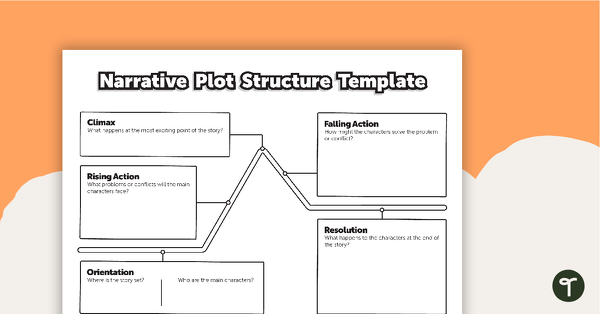 Use our Free Download: Narrative Plot Structure Template to support your students in the planning stage. Encourage your students to work with their partner to rehearse a puppet show and to explore the use of voice and expression. 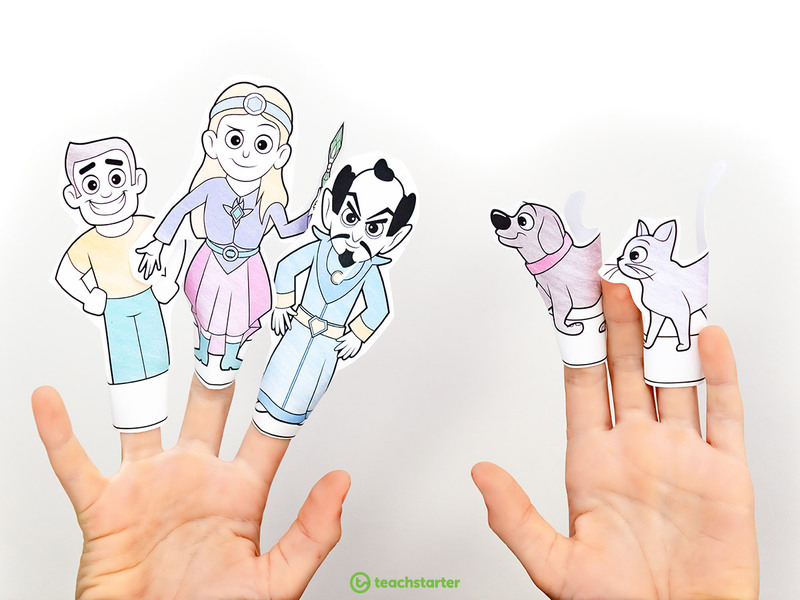 Encourage more confident students to perform their finger puppet storytelling with the class. 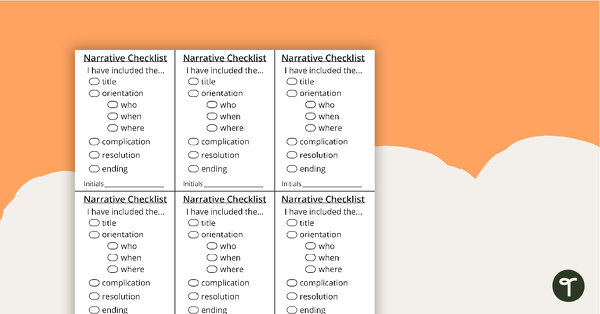 Now your students can make sure that they have everything they need in their narrative. 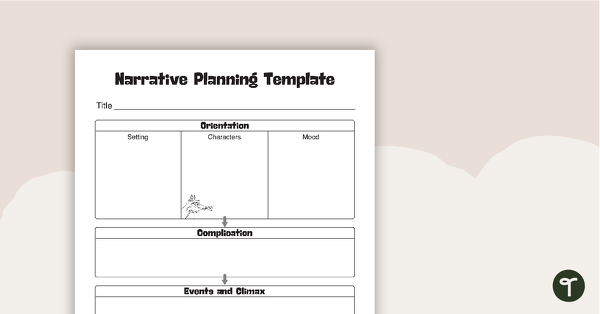 A template for students to use when planning the plot structure of a narrative text. A set of 2 posters giving ideas for the setting of a narrative. Celebrate World Storytelling Day with wooden spoon puppets! 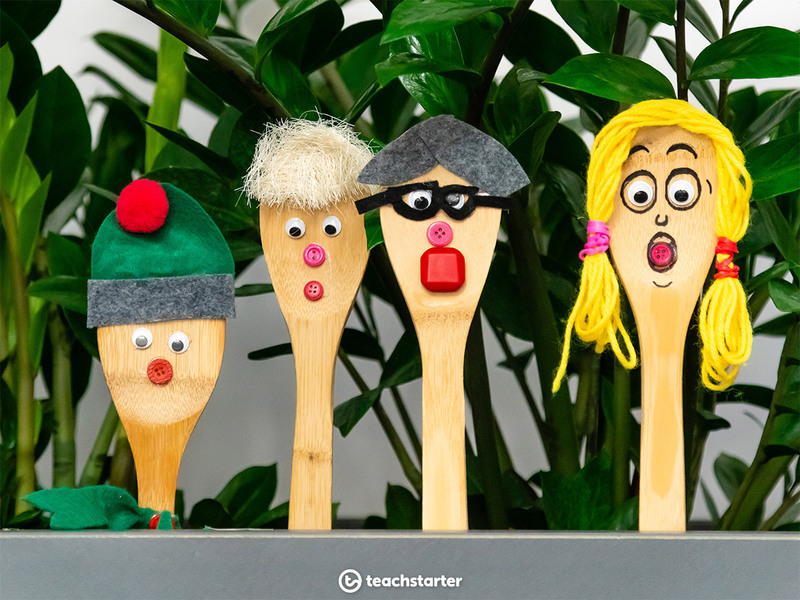 Your students will love getting crafty to create a set of wooden spoon characters! What’s more, they will love working with a partner or a small group to plan and rehearse a storytelling performance. I have never taken wooden spoons more seriously than right now. 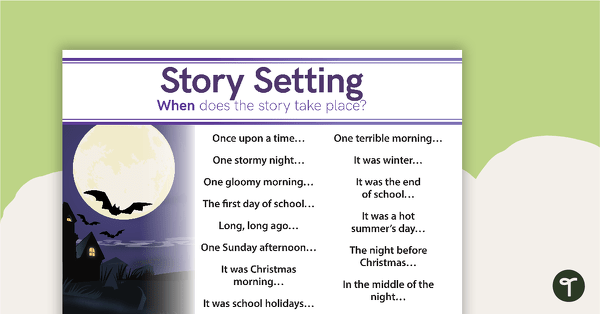 This storytelling activity is suitable for lower to upper years and allows you to differentiate by expectation. The next step is to encourage your students to collaborate with their peers and to find other wooden spoon characters that would make a good storytelling match! Next, it’s time to get planning and rehearsing before having a showdown at the class wooden spoon storytelling bonanza! The act of telling stories is a tradition as old as humankind. 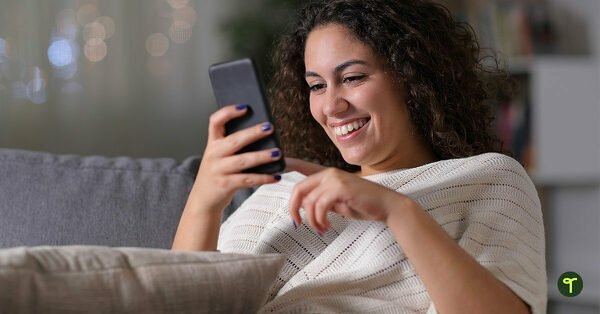 Storytelling creates a connection between the storyteller and the listener and it also promotes listening skills. Storytelling stones are a collection of small stones with pictures on them that can be used as storytelling prompts. They can be used as an effective way to create collaborative stories in small groups. 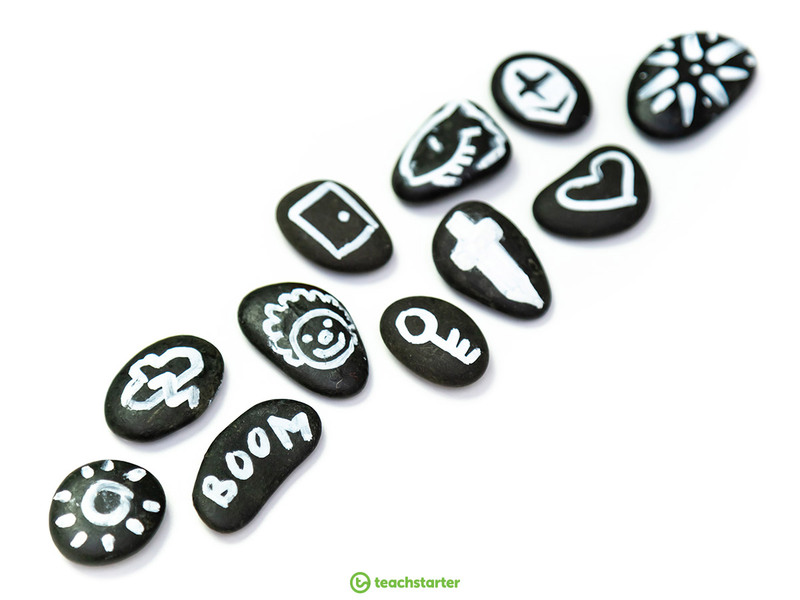 Encourage students to arrange their own stones in an order that tells a story and to share the story. Work in a small group to take it in turns to select a stone to tell a collaborative imaginary tale. Working in a small group, place all of the stones face down. Take it in turns to turn over a stone to continue a crazy and funny story. Story boxes are a great way to generate ideas for storytelling. 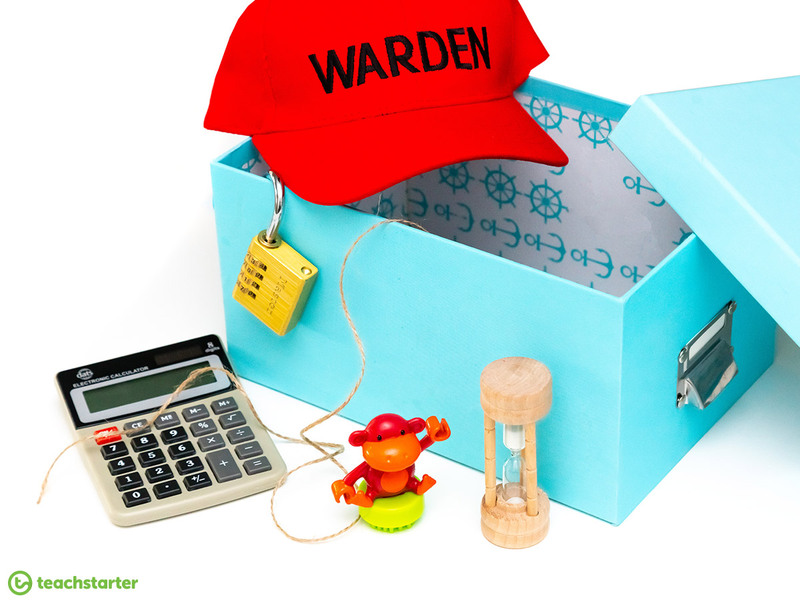 Simply find a bag or a box and fill it with objects that will spark your students’ imagination. To get the story off to a flying start, it’s often a good idea to add something to your box that suggests a setting, a character and perhaps an object. 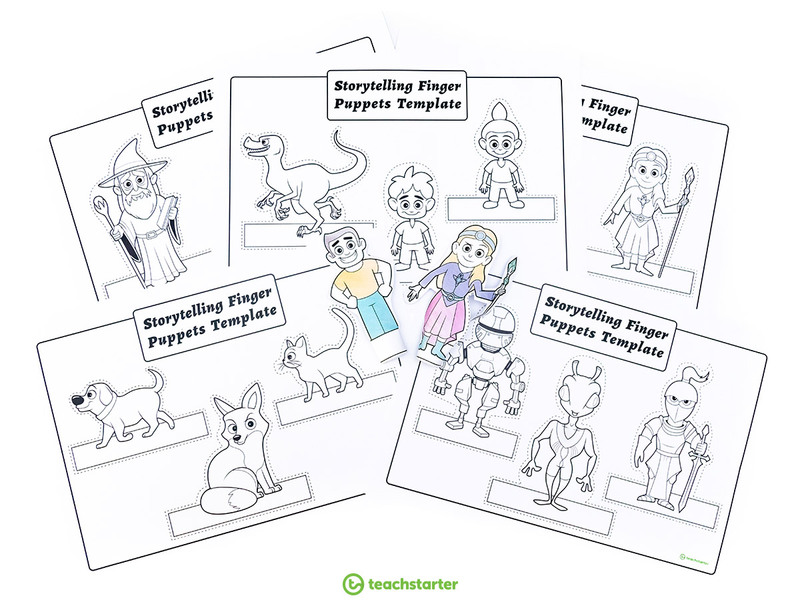 Storytelling boxes work brilliantly for whole class circle time or for a small group activity. Just sit back and observe your amazing students as the ideas and stories unfold. 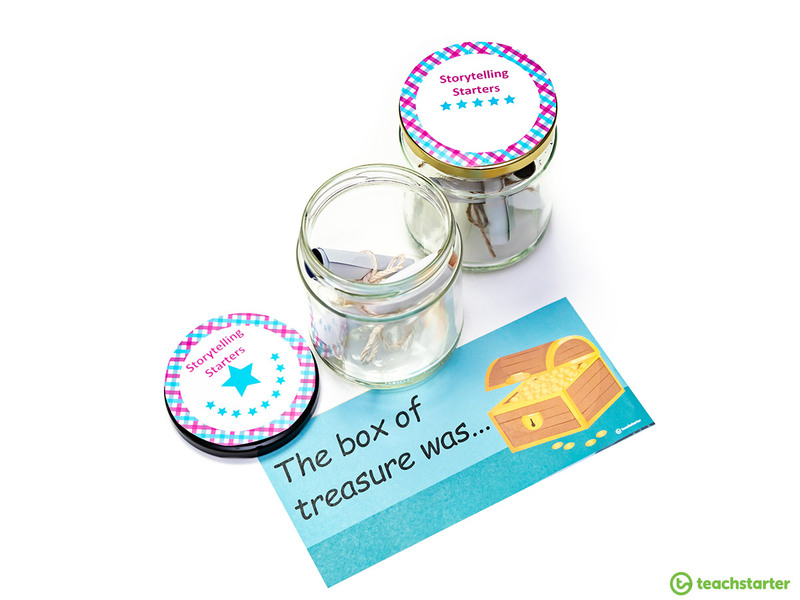 Why not ask your students to collect interesting objects and to create their own story box as a meaningful homework task? For more idea on how to use story boxes red Holly’s blog 7 Ways to Guide and Inspire Reluctant Children to Write. There’s something quite lovely about getting a message in a jar. On World Storytelling Day why not put story starter ideas in a jar to help to spark your students’ imagination and creative storytelling. 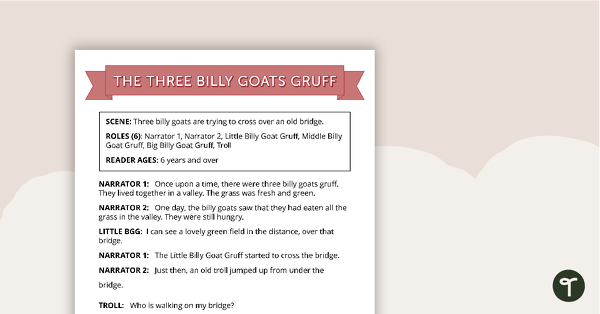 Download our FREE download Narrative Story Sentence Cards, roll them up and tie them with some twine to add a little extra mystery. For an extra bit of pretty, I used our editable Purple Tartan – Star Student Badges to create a lid label. One Word Story is an active game that can be used at any time and encourage creative storytelling and teamwork. Before the game begins, explain the rules of the game. Arrange the students into a seated or standing circle. Establish who will begin the story and which direction the story will travel (clockwise or anticlockwise). The first person begins by saying a single word. makes sense following the previous word. For example: “was”. with the collective aim of telling a coherent story. 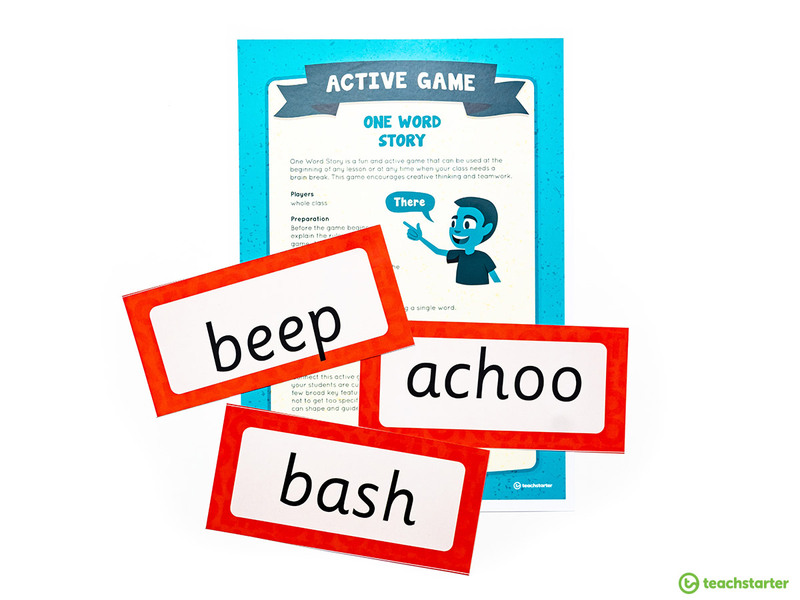 Why not break tradition and start a story with an onomatopoeia word! Storytelling with percussion instruments is so much fun! 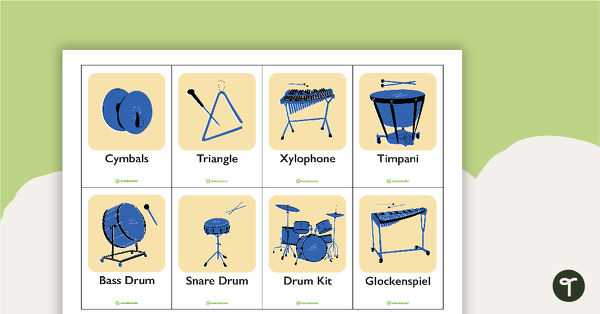 Your students will love to explore the sounds and effects of different instruments and how they can be used to tell a story. 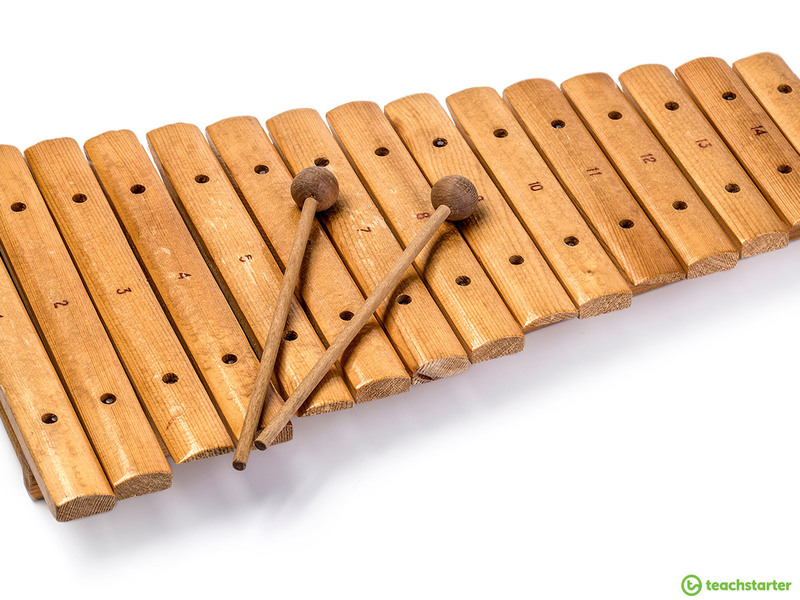 This music activity works very well with a familiar traditional tale such as The Three Little Pigs or the Gingerbread Man. All you need to do is raid your school percussion instrument cupboard and buy some earplugs! Don’t forget that there are lots of brilliant ways to make your own percussion instruments in the classroom. As you read the story aloud, encourage your students to use the musical instruments to interpret the action in the story. Seventy-two music related vocabulary cards for a word wall. A set of 48 cards for students to match musical instruments with the family of the orchestra to which they belong. 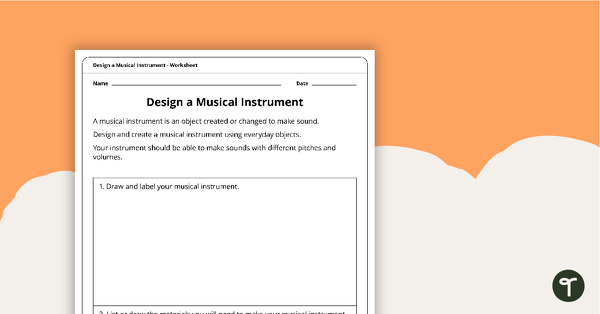 A worksheet that can be used as a design technology task that explores the science of sound. 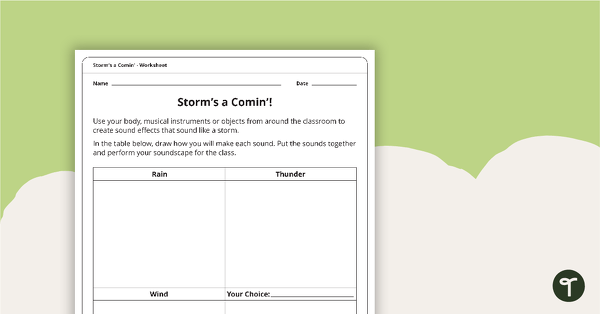 A worksheet to use when exploring sound in science or music. What are the main events that take place? How does the story make you feel? Check out Lesson 8 of our Exploring Poetry – Year 3 and Year 4 Unit Plan focuses on storytelling through poetry. 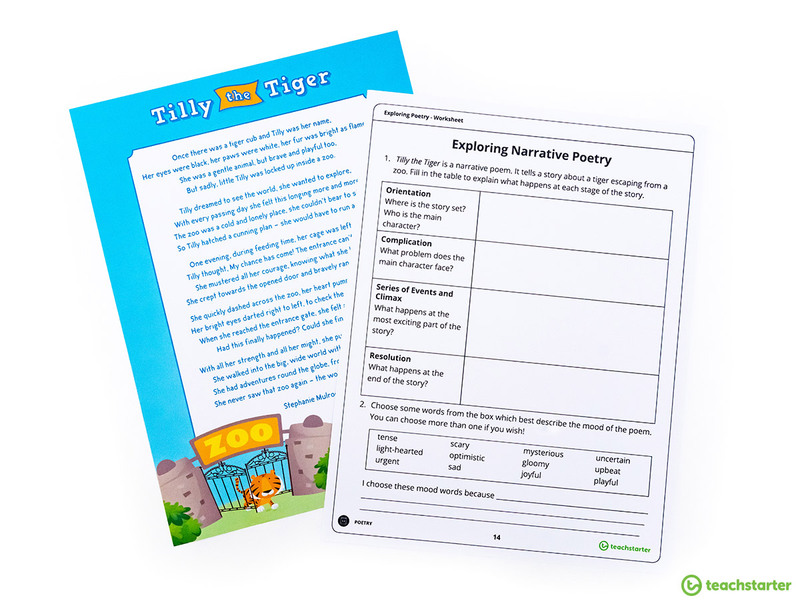 The unit includes an Exploring Poetry Workbook that contains a brilliant narrative poem, Tilly the Tiger, that tells a story about a tiger escaping from a zoo. As a class, read the poem and have fun exploring the explore the orientation, complication, climax and resolution of this poem. If you have a class of budding thespians, embrace World Story Telling Day with drama. We’ve done the hard work for you and created a Readers’ Theatre Resource Pack. 11 scripts catering to students 10 years and over. An 11 slide PowerPoint template to use when introducing Readers’ Theatre to your students. A comprehensive pack of 33 readers’ theatre scripts, catering to a range of age groups and ability levels. 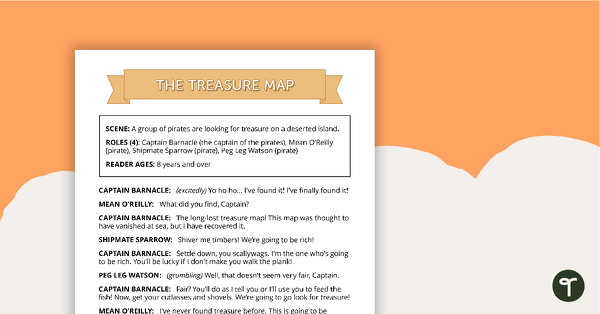 A script which can be used during readers’ theatre or Drama sessions, aimed at students 6 years and over. 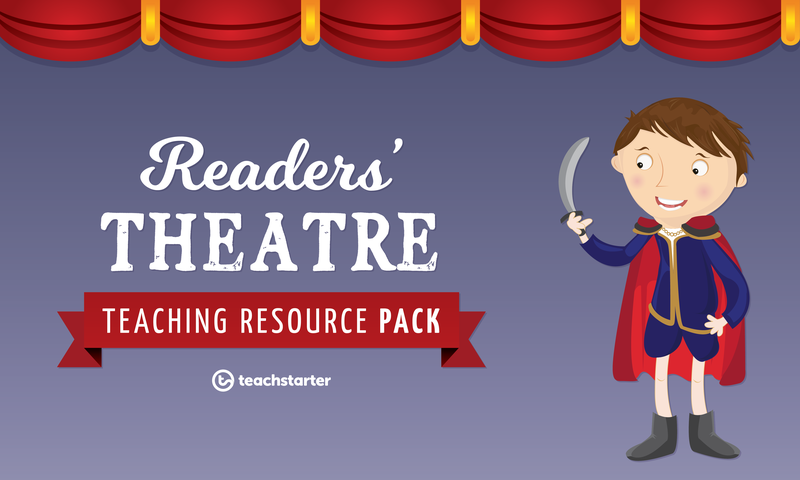 A script which can be used during readers’ theatre or Drama sessions, aimed at students 8 years and over. Storytelling is one of those magical pleasures that can be easily overlooked in the crazy hustle and bustle of life. Be that inspirational teacher who keeps storytelling alive by sharing a whimsical tale every day! A set of 4 decorative posters with motivational Dr. Seuss quotes. A positivity poster encouraging kids to read. Hi Jolanda, thanks for your positive feedback. I hope that your early years HASS students have lots of fun trying out some of these ideas for storytelling.